I am working on creating an archive and an improved records management workflow, and preparing another donation of materials for the Curtis Collection held at the University of Pittsburgh. This is the first time that an archivist has consistently worked with their materials. The state of the “archives” when I arrived. 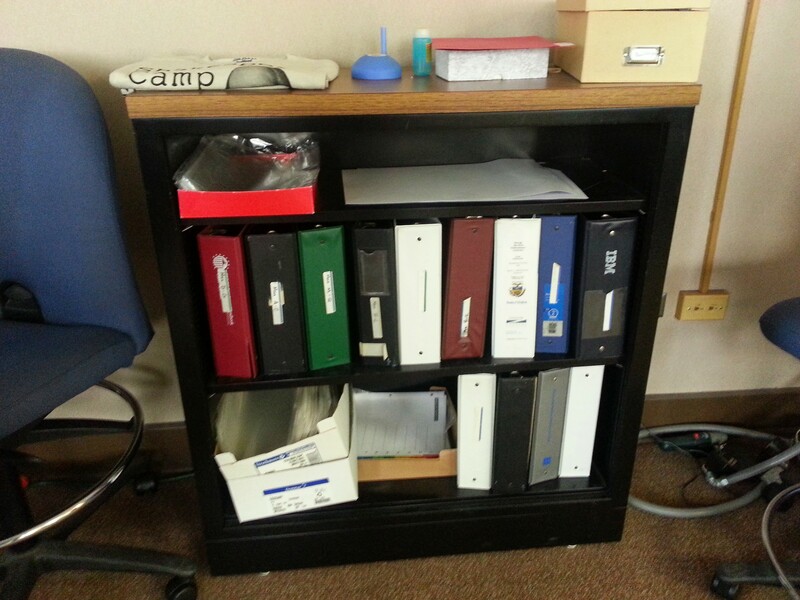 The first stage of the project involved moving all the materials into standard size banker boxes. This allowed me to consolidate the materials and do preliminary labeling as well as get rid of mismatched and inappropriate storage methods. The second stage of the project involves moving the materials to a new office space (along with the rest of the company). There will now be a dedicated archival storage space. I am working on general level processing of these collections, which include paper documents, photographs, video recordings, posters, programs, and much more.